Still unusual, but with plenty of precedent, bassist Richmond here devotes an entire CD to his cello as the solo instrument with another bassist in the rhythm section. The great Oscar Pettiford often did it but frequently he would play one instrument and overdub the other himself. Top 1950s hard bopper Doug Watkins presented a superb LP of all cello solos with another bassist employed, as on this release. The warmth and roundness of sound Richmond achieves makes his cello an ideal front-line instrument where eight tracks played with double bass up front would have been a bridge too far for many enthusiasts, bass students excepted. The set kicks off with “Be My Love” – shades of Mario Lanza and both the leader and his bassist get to solo at length. Richmond plucks the notes valiantly on the first three selections and then reverts to rich, lyrical arco on “Soul Eyes”, the song by Mal Waldron made famous by John Coltrane on an early Impulse release. He does also indulge in a bit of harsh pizzicato as well on this one. Peter Zak’s contribution on piano, here and on the rest of the programme, is important for variety of content. Richmond is very much at home and on safe ground with Loesser’s “Never Been in Love Before”. In general this is a good choice of programme, encompassing jazz standards, song book favourites and the occasional oddity – “Brea’s Lullaby”, for example. The quartet is very much together and having just cello and piano as front-line solo instruments works well even though no horns are present. The sound of a cello is ideal in jazz and the only surprise is that it hasn’t been used in this capacity a lot more often than it has to date. Richmond is an adventurous and imaginative soloist and here he gets to do much more than just provide a bass line. Richmond (clo); Peter Zak (p); Jay Anderson (b); Billy Drummond (d). February 2017, no location listed. 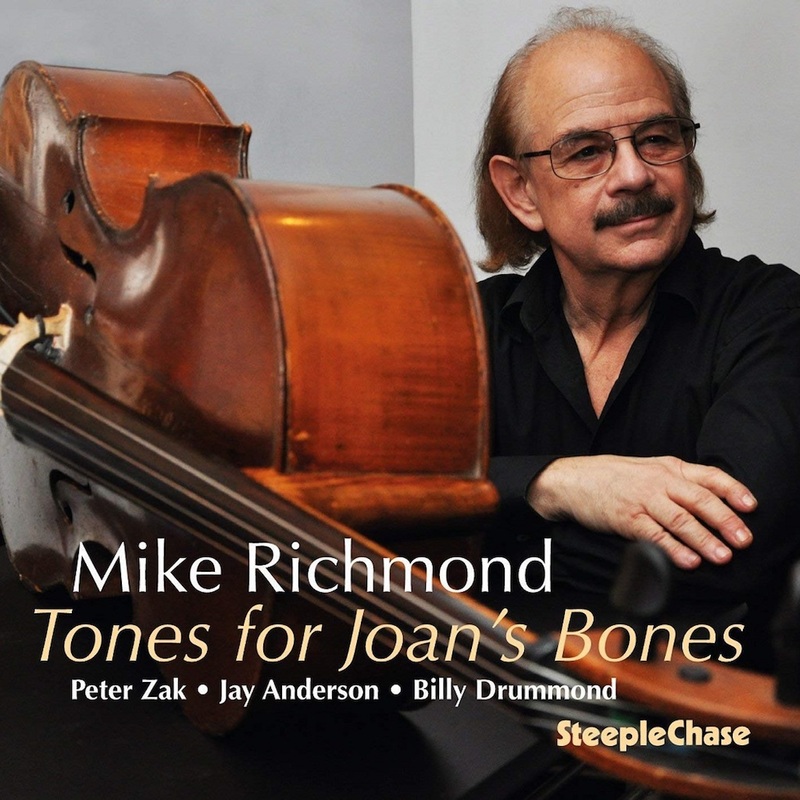 "The warmth and roundness of sound Richmond achieves makes his cello an ideal front-line instrument".